Someone's kitchen floor? 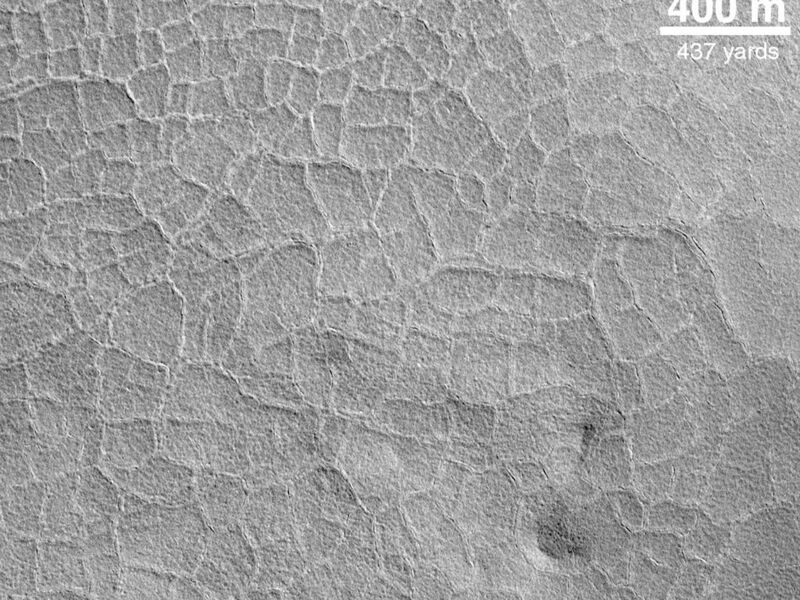 A stone patio?This picture actually does show a floor--the floor of an old impact crater on the northern plains of Mars. Each "tile" is somewhat larger than a football field. 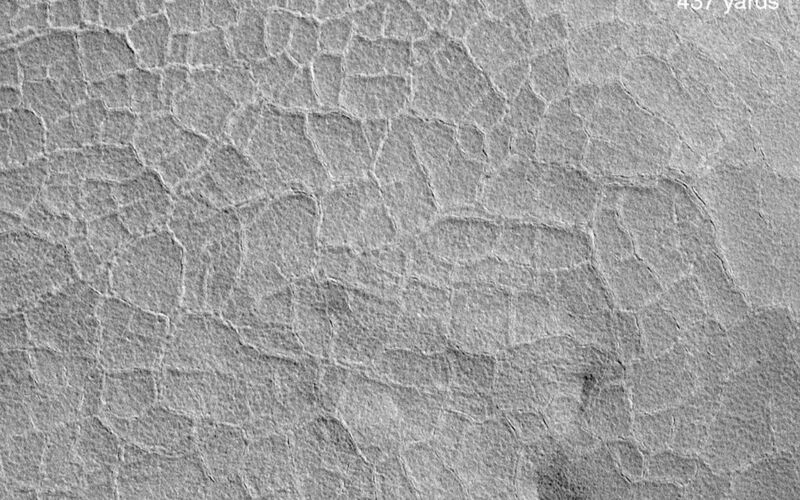 Polygonal patterns are familiar to Mars geologists because they are also common in arctic and antarctic environments on Earth. 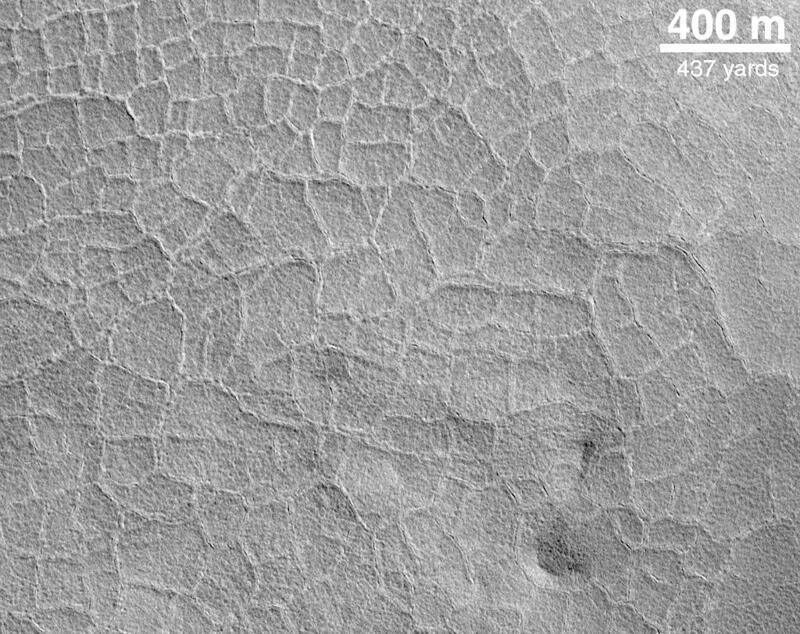 Typically, such polygons result from the stresses induced in frozen ground by the freeze-thaw cycles of subsurface ice. 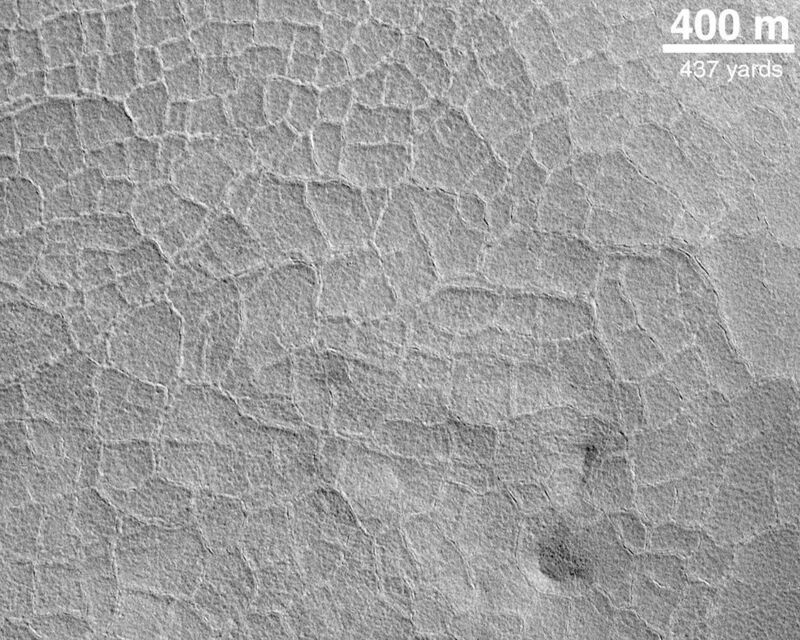 This picture was taken by MOC in May 1999 and is illuminated from the lower left.